See the web appendixes referenced in the book. When the Supreme Court upheld the Affordable Care Act, some saw the decision as a textbook example of neutral judicial decision making, noting that a Republican Chief Justice joined the Court’s Democratic appointees to uphold most provisions of the ACA. Others characterized the decision as the latest example of partisan justice and cited the actions of a bloc of the Court’s Republican appointees, who voted to strike down the statute in its entirety. Still others argued that the ACA’s fate ultimately hinged not on the Court but on the outcome of the 2012 election. These interpretations reflect larger stories about judicial politics that have emerged in polarized America. Are judges neutral legal umpires, unaccountable partisan activists, or political actors whose decisions conform to—rather than challenge—the democratic will? Drawing on a sweeping survey of litigation on abortion, affirmative action, gay rights, and gun rights across the Clinton, Bush, and Obama eras, Thomas M. Keck argues that, while each of these stories captures part of the significance of judicial politics in polarized times, each is also misleading. Despite judges’ claims, actual legal decisions are not the politically neutral products of disembodied legal texts. But neither are judges “tyrants in robes,” undermining democratic values by imposing their own preferences. Just as often, judges and the public seem to be pushing in the same direction. 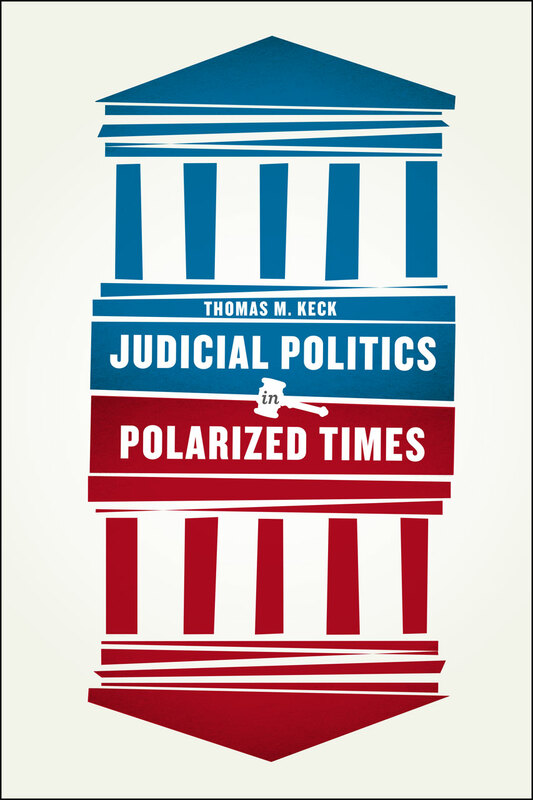 As for the argument that the courts are powerless institutions, Keck shows that their decisions have profound political effects. And, while advocates on both the left and right engage constantly in litigation to achieve their ends, neither side has consistently won. Ultimately, Keck argues, judges respond not simply as umpires, activists, or political actors, but in light of distinctive judicial values and practices. "Keck explores litigation surrounding some of today’s most contentious issues—gay rights, abortion, affirmative action, and gun rights. In doing so, he demonstrates that judicial decisions on these topics are part of—rather than antithetical to—democratic politics. Courts, Keck shows, are rarely imposing minority viewpoints on unwilling citizens and their elected representatives. Instead, courts are simply part of a broader system of push-and-pull, in which policy develops at multiple levels of government, across branches, and through a variety of mechanisms. Keck reorients our analysis to yield a more textured—and ultimately more realistic—picture of the role of courts and litigation today." "A data-rich study of the complex and fascinating interplay between court decisions and movements for and against policy change in four politically polarized areas. The result is a provocative challenge to long-held and deeply cherished arguments for and against judicial review." political actors, but in light of distinctive judicial values and practices."